Gone are the days when we were too afraid to address one of the most important issues that plague every generation- depression. From being a taboo topic to something we have come to acknowledge as a real problem, talks on depression have come a long way. Depression affects millions of people worldwide, the effects of which are insurmountable. Even though the stigma around depression is being dismantled each day, the ways in which we can combat this issue are still not that far-reaching. Depression can happen to anyone, and it does not always require a stimulus. It is vague and confusing and as people do not know how to address it, it may lead to some far-reaching effects before it has even been curbed. Depression is a state of mind that cause a person a lot of psychological, mental and sometimes even physical distress. It is debilitating and can lead to a loss of interest in activities that the person would usually enjoy. The person may withdraw from the situation and may have little or no desire to interact and share their problems. A lot of people who go through depression describe it as feeling where you feel like you are in a dark place and that you will not be able to come out of it. The feeling of listlessness and numbness is extremely prevalent. Other than the various behavioral changes another thing that can be observed is that the person is constantly in a low mood that they are not able to shake. This medical condition can also be a gateway to a lot of health problems. The inability to cope or to constantly be in a bad mood becomes the norm, individual tend to look at things in a negative light and it takes a lot to perk them up. To detect depression or anxiety one must observe the mood patterns, to be in a bad mood every now and then is fine, but if you find yourself feeling low and bored for weeks at an end, you might have a problem. Though the actual causes of depression cannot be pinpointed at due to the variable nature of human perception, there are certain universal triggers like, loss of hope or death in the family or of a close friend. trauma, genetics, hormones, wrong lifestyle can also be one of the reasons why you might get depressed. Another reason might be changing circumstances or some sort of abuse. The conditions that jerk the individual into or out of a stupor can also have a worse effect on the individual. Often the exact causes of depression cannot be recognized, there are certain factors that lead to it. Financial stressors, illnesses, stress or any form of substance abuse including alcohol or marijuana can also lead to depression. Basically, things that lead to serious changes in brain chemistry will lead to depression. Loss of appetite is one of the major symptoms of depression. Another extremely obvious symptom is lack of energy to do even the simplest tasks. If you notice any of your friends being extremely reserved, more than their usual self, please ensure that you give them adequate support. Another major symptom could be extreme changes in sleeping patterns. Hopelessness and anxiety are also some of the major feelings experienced by depressed individuals. Thoughts regarding self-worth, and anxiety about performances reach an all-time high. Individuals may also feel alone and isolated and extremely guilty for some reason all the time. Lack of concentration or heightened use of drugs and alcohol are few of the other symptoms and if they continue to persist, one must seek help immediately. How to Cure Depression Naturally? The first step to healing a problem is admitting to yourself that there is a problem. It is very necessary for you to have a dialogue with yourself first and then with someone you trust about the difficulties that you are facing.there is strength in being vulnerable and one must understand that because only then can you address what truly important without having to worry about the perception of other people. Your mental health is your responsibility. Reduce your burden by talking to someone trustworthy. As this point, you should not have any fear of being judged and it should be a free space that lets you come face to face with your difficulties in a clear and objective manner. The instantly transformative thing you can do for yourself. With depression, one tends to get a little lethargic and this is usually because you do not have the strength or the mood to do any activity. But if you push through this and workout for even twenty minutes a day it can have amazing benefits, the sudden rush of endorphins will definitely make you feel better, and you will be glad that you decided to work out. Working out will also help you make your body stronger and the simple activity of wanting to stay in- but still pushing through to get and work out will make you feel better about yourself almost immediately. This can be an extremely helpful habit as millions of other people will admit how beneficial it is to keep a record of your feelings. It is a known fact that writing your feelings helps you understand them better, so start a habit where you record what you are feeling or thinking at least once a week. As the weeks pass, and you look back you can actually see and understand the state of your mind and how it changes and what leads to the changed states. It can be an outlet, or it could be a place where you express gratitude. A journal is your safe place and can help you understand yourself better. These are such simple things but they actually go a long way in ensuring good mental health. Some good music and abundance of sunlight can actually improve your mood. Picture walking on fresh green grass early in the morning- it’s a pleasant feeling, right? Sunlight is a natural antidepressant and is known to have positive effects on your immune system. Similarly listening to good music can also be extremely uplifting. These small things can be an instant way to boost your mod and getting some fresh air has always been advisable. So go for a walk early in the morning, hear the birds chirping and forget your troubles for a little bit while getting immersed in nature. No matter what anyone says, or what your cravings are- the cake is no good. Though little amounts of sugar may be nice, a diet that has too much of processed food can never be a good way to live. Not only is this internally ruining your system, certain food items are also linked with depression. Your diet cannot be nutrient stripped- if you eat trash you are going to feel like trash. So it is important that you analyse your diet in a way, that you can create one that includes all that you need to feel energized and good. A healthy diet that does not make you feel bloated or heavy is ideal. Include greens and lean proteins and not to forget some foods that are rich in omega 3 fatty acids. Vitamin d and B vitamin complex are also nutrients that you should be adding to your diet as these have been scientifically proved to give you good health and better cognitive abilities. This may sound like a chore right now but understand the significance of making yourself a little proactive in battling depression. Given that you will be experiencing huge mounts of lethargy, so assign the smallest and the most mandatory tasks so that you feel like you are at least doing something but not getting overwhelmed. Get enough sleep, allot hours in a day, do not exhaust yourself but do something to get a sense of completion at the end of the day. And once you introduce even basic structure in your day, it will ward of feelings of helplessness, and help you feel more organized if nothing else. Get a bit of routine and stability to ensure that the basic requirements if your body and mind are met. Join a class, take up painting or dance over the weekends. Though we’re not suggesting that you burden yourself yet again, but minimal interaction an accumulation of new skills that aren’t too pressurizing can be a gift at this stage as you can distract yourself and actually learn something new. Activities that encourage you to look beyond your troubles in a simple and effective manner are extremely useful. Not only will they help you become more creative, getting to interact with new people can be liberating and help you break the old patterns too. Of course, this is easier said than done but over time, learn to acknowledge your thoughts and still not be bothered by them if this continues to happen you will have to look for medical help. But while it is still in your hands learn to address the past without having to ruminate over it. What went wrong was not in your hands, neither is there something you can do about it now, but what you do have is the present, and the future and these can be created with the power of your perception. And this perception can only be shaped if you learn from your past and look forward. It is necessary that the steps are taken only in the forward direction because only then will you be able to grow. The tragedies of the past are the past, and you should not waste any more time looking over your shoulder. Meditate or do yoga or just do some simple breathing exercise that helps you feel grounded. This is to ensure that your mind at least tries to not be restless any, more. Learn to appreciate a moment, practice gratitude eliminates the negative self-talk and reaffirm positive thoughts in your head. Even if you have to fake it in the beginning. Just focus on the present moment and take steps to ensure that you are fully here.this is called being mindful Break the negative thought cycle by grounding yourself from time to time. Remind yourself of the infinite possibilities of this moment that you should be concerned with, not the future or the past, make time your ally. Observe your surrounding and just take it all in, without feeling the need to give it a name or assigning it with a feeling Even guided meditation can be an excellent way of silencing that inner voice that is not on your side and learning to tell our bodies to relax. If you have the will to persevere, it can definitely be dealt with.No matter how arduous or long the road seems, there are certain ways that nature has provided us with to ensure that we let our minds run free. But once you come out of it, you will feel more confident, as you had to do it alone. Depression is such a personal thing, that even if we have the support of our friends and family, we still have to do most of the work on own and this is where the self-perception and positive self-talk comes into play. Your mental health is your responsibility. Nobody said I was easy, but find the motivation to create it, fake it until you have enough faith, and eventually you will see, that the stars will start to burn brightly and the sun will also start shining brightly, again. 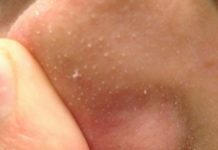 Previous article7 Effective Tips To Treat Dehydrated Skin - Repair It! Next articleGet to Know How to Step on to More Responsibility at Work - Get Workaholic!